Literature Wales is looking for a writer from Wales to undertake a literary residency in Brussels in May 2017. The residency forms part of Poetry of Loss, a wider project commemorating the First World War. Poetry of Loss will have a specific focus on Hedd Wyn, who was killed on the battlefields of Flanders, near Ypres, on 31 July 1917. 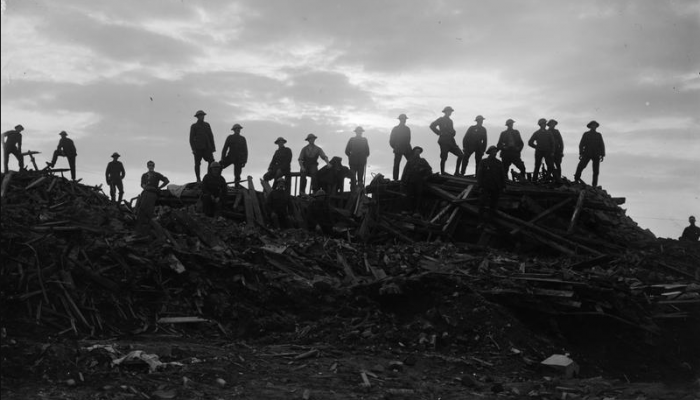 The project is delivered by Literature Wales, in partnership with the Welsh Government’s Cymru’n Cofio Wales Remembers 1914-1918 First World War Centenary Programme and the Government of Flanders. Passa Porta (www.passaporta.be), the International House of Literature in Brussels, will be the main base for the residency. Passa Porta is located in the heart of Brussels, and offers a unique working and meeting place for authors, readers, translators and literary mediators from across the world. The successful applicant will be housed in a Workspace located in the Passa Porta Salon, a shared apartment on the second floor in Rue Antoine Dansaert 46. The Workspace consists of a room with a writing desk, Wi-Fi, single bed, wardrobe and balcony, which looks out over the shared terrace and Passa Porta office. The communal spaces in the apartment (bathroom and kitchen) can be used freely. This residency is open to writers born in or currently living in Wales, writing or working in Welsh or English, in the following genres: novels, short stories, poetry, spoken word, graphic novels, children’s literature, young adult fiction, and creative non-fiction. Creative non-fiction includes literary criticism and biography/autobiography. The residency is open to published and unpublished writers. The residency includes accommodation at the Passa Porta apartment, travel costs between the UK and Brussels, and €250 per week in expenses. To apply, send a literary CV along with a supporting letter (of no more than 300 words), stating your motivation for applying for the residency and your intentions for the time spent in Brussels if successful. You should demonstrate how this residency would assist your development as a writer at this stage in your writing career. Unpublished writers should also include a short sample of work with the application. Please note any access requirements relevant to the residency in your application.